These burritos are so good. We had a bumper crop of taters this year and Fred said I should use them three meals a day! While I don’t actually do that, most days we have them at least once or twice. Check out the basic ingredients and don’t worry about the amounts. As long as they smell good………they’ll be delicious. 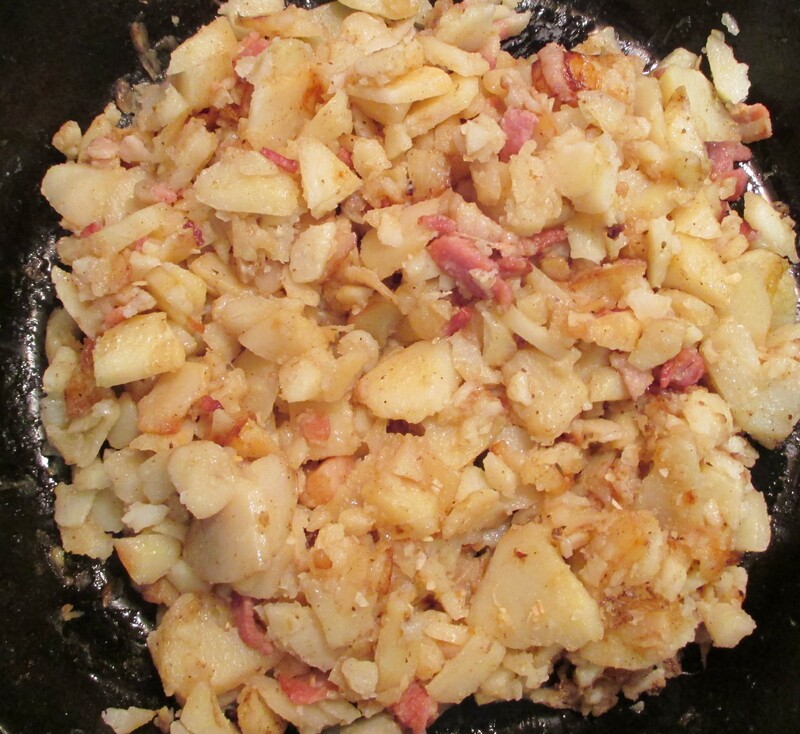 Fry chopped bacon and onions then throw in a bunch of sliced potatoes. Add some lard if the bacon isn’t greasy. Brown them nicely and add some spices. We use sea salt, garlic powder, cayenne pepper, black pepper, paprika etc. 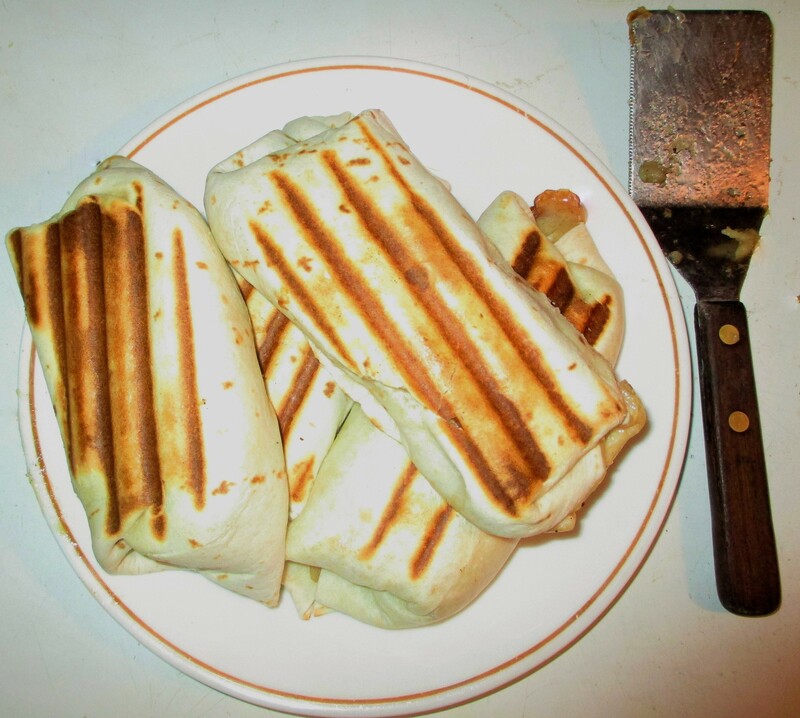 Then put a piece of cheese, any kind you have on hand, on a soft shell burrito. I use my homemade Velveeta usually and sometimes mozzarella. Top it with the potato filling. 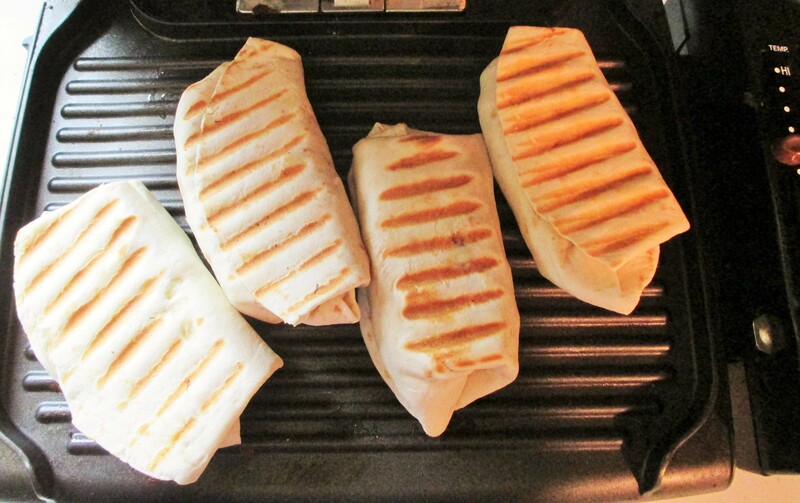 Fold the burrito up and place in a Panini machine of some sort. Any sandwich machine with two hot sides will work including a waffle maker. Leave it in long enough to brown and melt the cheese. If you don’t have a machine just smash and melt the burrito on a hot cast-iron pan! These are really incredible tasting and are even great cold. What a flavor and a great way to use up the tater crop. Be creative…………use sausage, ham or pepperoni as well and if you don’t have any meat, leave it out! If you have too many eggs, add them to the mixture. Enjoy! Thank you Gina McKeown for the Panini machine! 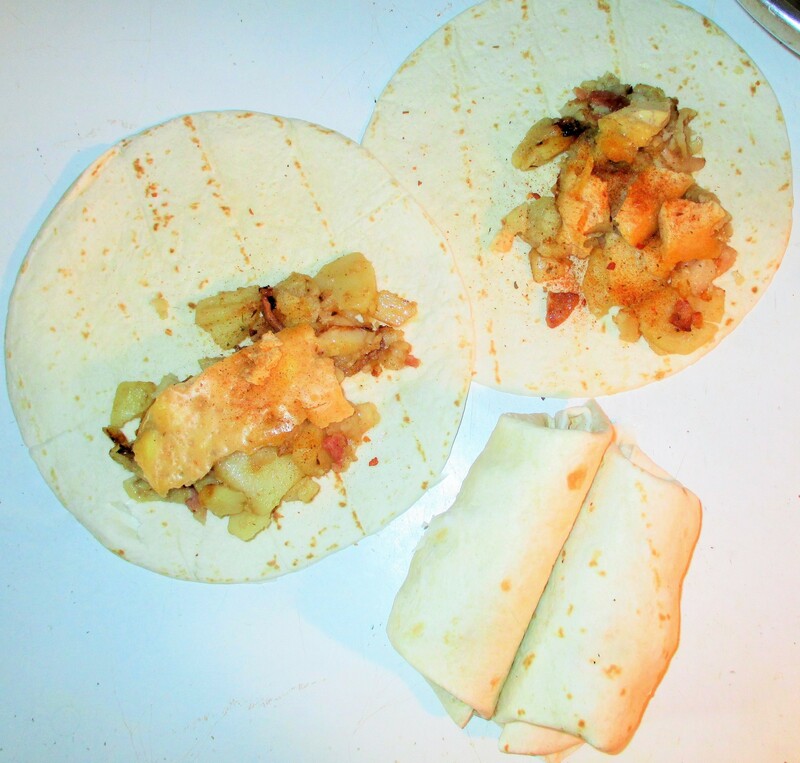 This entry was posted in FARM KITCHEN and tagged Potato Burrito Callens Honey Farm. Bookmark the permalink. Dang, those look fabulous! We eat potatoes twice a day, too — cheap, abundant, healthy and delicious — and we love breakfast burritos. This is just like, but without the eggs. We miss all of you — wish we could get together and drain a pot of coffee. Sorry for you to be missing the babies — now we’re in the same boat together! MMmmmmm…I can smell them from PA. These look delicious! They will definitely be on the menu this week.